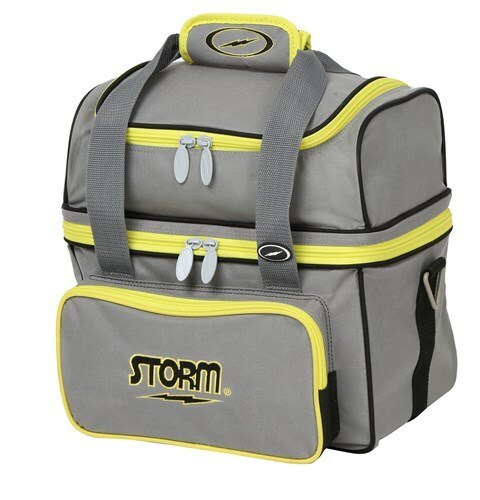 The Storm 1 Ball Flip Tote Yellow/Grey has plenty of room for your bowling ball, shoes up to a men's size 13, and accessories. This durable bag has lots of features and stands out with its bright colors. Due to the time it takes to produce the Storm 1 Ball Flip Tote Yellow/Grey ball it will ship in immediately. We cannot ship this ball outside the United States.